Most rural areas depend on primary-care physicians, and at least one insurance company is willing to increase compensation for them. Indianapolis-based WellPoint Inc., an operator of Blue Cross Blue Shield insurance plans, wants to increase payments to primary-care doctors and start reimbursing for preventive care management. WellPoint says this would "boost treatment and save money," reports The Associated Press. The Obama administration provided a new framework the U.S. Forest Service would use to manage national forest land yesterday. Once the regulations are approved, they will update planning procedures that have been in place since 1982 and use latest science and knowledge to create and implement effective land management plans. The rule requires management plans include habitat for plant and animal diversity and conservation, but some conservation groups say the rule weakens national forest wildlife protections, reports Environmental News Service. Defenders of Wildlife President Jamie Rappaport, who headed the U.S. Fish and Wildlife Service during the Clinton administration, said her organization supports "this historic shift in direction," but remains concerned about the "adequacy" of wildlife conservation in the proposed rule. She said the rule "makes promises that it can't fully deliver." Conversely, Forest Service Chief Tom Tidwell said the rule will sustain jobs and income for local communities, take less time, cost less money and provide stronger protections for land and water. Feds question mine plan that would create grade and drain for part of King Coal Highway in W.Va. The Environmental Protection Agency said the mine would be one of the largest ever proposed in Appalachia and would bury 10 miles of streams under 13 separate valley fills if allowed to continue. EPA says the permit includes 159 possible water pollution "outfalls." The agency sent a letter objecting to an Corps of Engineers "dredge-and-fill" permit for the proposed mine issued the day of Obama's inauguration. 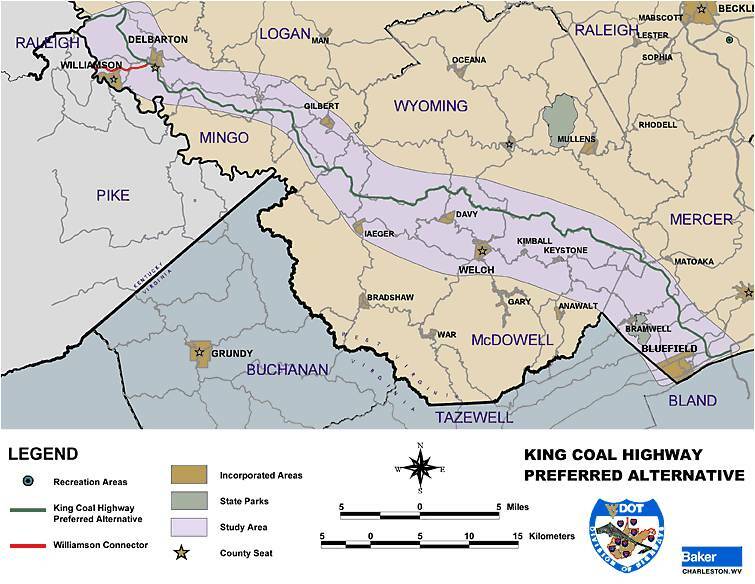 Consol wants to mine 16 million tons of coal over a 14-year period, and the state Division of Highways said the mine would reduce the cost of the King Coal Highway section from $200 million to less than $90 million. It seems the dust hasn't yet settled around fear the Environmental Protection Agency might regulate farm dust to reduce particulate air pollution. Legislators and farmers have worried for some time EPA has plans to do it, even though the agency has repeatedly said it does not. Iowa Agriculture Secretary Bill Northey met with regional EPA officials in Kansas last week and was reassured. 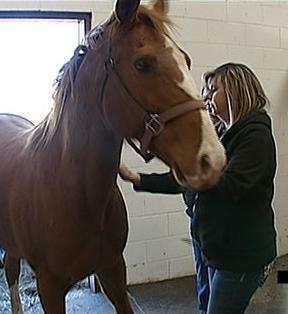 "We certainly got that reiterated that they are absolutely not going to regulate farm dust. They have no plans to do it," he told Julie Harker of Brownfield Ag News. He also said it won't happen in a "back door way," such as through a lawsuit. The speculation may stem from dust regulations EPA enforces in Maricopa County, Arizona, which includes Pheonix. The agency has enforced dust regulation there since 1996 as part of overall efforts to limit particulates. After major dust storms in the city last year, EPA found the county "had failed to limit dust to currently allowable levels." Some legislators say dust storms there are natural because of its desert location. They maintain farms are irrigated and dust storms are beyond legislation. All sports at the school have postponed until at least the next basketball season as Singleton shifts the focus to extra tutoring and test preparation. Singleton told Sherman it was a tough decision in a community that values high school sports so much, but "because we're so far behind with student performance I wanted an environment that was academic only." Singleton estimates the decision to end sports programs will also save the school about $50,000 in the spring and $100,000 in the fall. The money can be used to update facilities, attract qualified teachers and pay off its $400,000 line of credit, Sherman reports. World's longest fire-truck parade staged in Okla. Here's a story for anyone who loves a parade: Firefighters who assembled for Oklahoma State University training sessions put together the world's longest fire-truck parade, 220 of them, on Friday, Jan. 21, beating a 159-truck parade in Switzerland that is in the Guinness Book of World Records. “Seeing fire trucks lined up for three and a half miles made all the hard work worth the effort,” said Donnie Allen, fire chief of Atoka, where the events were held. “The streets of Atoka were full of supporters, and when truck 160 (the one that broke the record) crossed the end of the parade line the roar was equal to that of the winning touchdown at a Super Bowl.” For the rest of the OSU press release, via the Bixby Bulletin, click here. The U.S. Department of Agriculture has released new, finalized requirements that will make school lunch a healthier meal for students. • Students will be given both fruit and vegetables every school day. • More foods will be made with whole grains. • Students will be offered only fat-free or low-fat milk. • Calories will be limited by portion size, based on the age of children being served. • There will be less saturated fat and trans-fats in the food served. • The amount of sodium will decrease gradually over the next 10 years. Though the changes represent the first school-lunch overhaul in 15 years, they are not as comprehensive as the Obama administration initially wanted them to be. A bill passed late last year "would require the department to allow tomato paste on pizzas to be counted as a vegetable, as it is now," reports Mary Clare Jalonick of The Associated Press. "The initial draft of the department's guidelines, released a year ago, would have prevented that." Congress also kept USDA from limiting potatoes to two servings a week. Potato farmers and frozen-pizza companies lobbied hard against those proposals, some conservatives said the government shouldn't be telling children what to eat, and some school districts said the changes were too broad and too expensive. 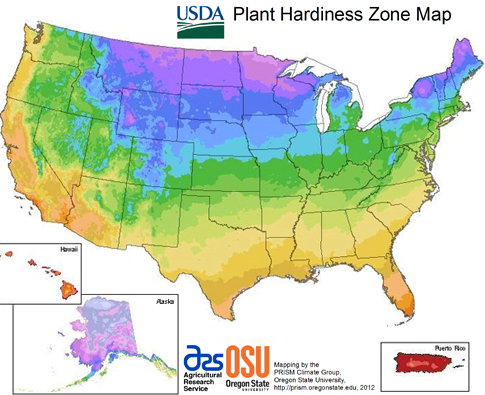 Five years ago, the Arbor Day Foundation changed its plant-hardiness zones because of warmer winters. Now the U.S. Department of Agriculture has followed suit, but "made clear that it doesn't ascribe the trend to climate change," reports Bart Ziegler of The Wall Street Journal. "The 30 years of weather data used to create the map weren't sufficient to smooth out weather cycles and determine if there is any underlying climate change," according to USDA spokesman Kim Kaplan. Also, Ziegler writes, "The agency said the methodology used to build the new map was more sophisticated than that for the 1990 version, so the maps aren't directly comparable. The new map relies on data from 8,000 weather stations and also takes into account topography, prevailing wind, elevation, proximity to large water bodies and other factors not used to create the 1990 map." The map is based on the average low temperature. However, Cornell University professor David Wolfe, who studies climate change, said "doesn't prove climate change" by itself, but corroborates other evidence, "including shifts in animal migration patterns, changes in snow cover and other temperature readings," Ziegler writes. For the USDA press release, with a link to an interactive map that shows climate zones at the county level, click here. Seventy percent of the 1,276 Iowa farmers participating in the 2011 Iowa Farm and Rural Life Poll said they use the Internet to get farm-related information. Weather was the most popular type of information, with 84 percent of farmers saying they check it online. Market information was second at 78 percent, while general agricultural news drew 75 percent and information about crop production 68 percent, J. Gordon Arbuckle, Iowa State University extension sociologist and co-director of the study, told Iowa Farmer Today. Of those with Internet service, 60 percent said they have high-speed access, with 27 percent of those using digital subscriber lines, 14 percent on satellite, 13 percent with a wireless/cell phone service, 12 percent using cable television and 12 percent a standard phone line. Only 14 percent of those surveyed reported no access to high-speed Internet and 21 percent of those who had it available said they chose not to use it, Arbuckle told Iowa Farmer Today. 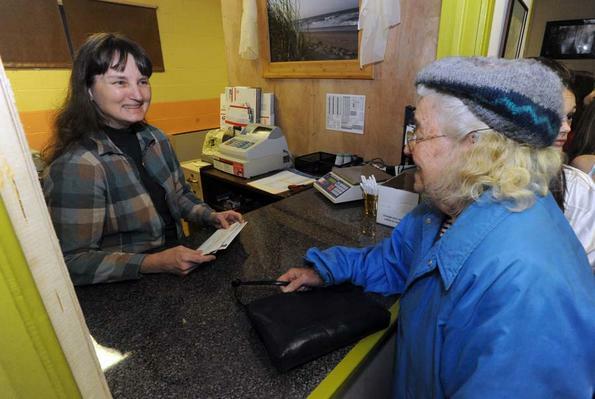 The Hacker Valley Post Office closed under an emergency suspension order after its lease expired. The Postal Service told community members at a hearing that a survey revealed no suitable replacement sites, and one couldn't be built because of a USPS building freeze. Residents first heard of the closure at the hearing, but later learned the agency knew of closure plans several years before, which should have "given the agency adequate time to find an alternative site," they said. Dozens of residents wrote letters to the Postal Regulatory Commission about "hardships" the community faced because of the closure, and asked it be investigated. The Commission concluded "the Postal Service is using its suspension authority to avoid the explicit congressional instructions to hear and consider the concerns of patrons before closing post offices." The Hacker Valley closing led to investigation of more than 400 closures of small post offices to make sure USPS hadn't illegally closed them. 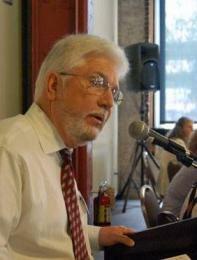 U.S. District Judge Robert Chambers of West Virginia won't allow citizen and environmental groups to argue the Army Corps of Engineers "wrongly failed to consider" scientific evidence linking health problems, including cancer and birth defects, to mountaintop-removal coal mining, reports The Charleston Gazette's Ken Ward Jr. The groups wanted to present testimony about studies conducted by Michael Hendryx of West Virginia University in permit hearings for Alpha Natural Resources' proposed Reylas mine in Logan County. Ward says Chambers cited the Federal Rules of Procedure and a U.S. Supreme Court decision that "says lawsuits like this one should generally be allowed to be amended or supplemented unless the proposed amendment would be 'futile'." He made two points in his decision: the Corps had already issued the permit, so any review of it was "over and done with," even though mining hasn't started; and, if the groups had been allowed to put the studies in the permit review, they still couldn't prove the Corps' failure to consider them "was arbitrary and capricious." He also said even if he'd let the studies be considered, the Corps didn't have enough time to review them. Representatives of the Kentucky Environmental Federation say the state's leaders should consider the health impacts associated with coal when they "craft the state's energy policy," John Cheves of the Lexington Herald-Leader reports. The organization released a 44-page health-impact assessment on coal yesterday, citing "published, peer-reviewed scientific studies ... that document health risks" associated with pollution from mountaintop-removal coal mining, mercury emissions from coal-fired power plants and toxic heavy metals found in coal-slurry ponds. Among the proposals Obama made were: opening more land for oil and gas exploration, investing in renewable energy sources, making drilling companies reveal chemicals used in drilling, providing more money for public research to advance energy production, developing clean energy on public lands, and wasting less energy to conserve more. President Obama didn't have too much to say about rural America in last night's State of the Union address, but he did attempt a farm joke while trying to debunk the notion that he over-regulates. "We got rid of one rule from 40 years ago that could have forced some dairy farmers to spend $10,000 a year proving that they could contain a spill, because milk was somehow classified as an oil. With a rule like that, I guess it was worth crying over spilled milk." The quip received much attention, with most thinking it was only "2 percent funny." It may also need some clarification. 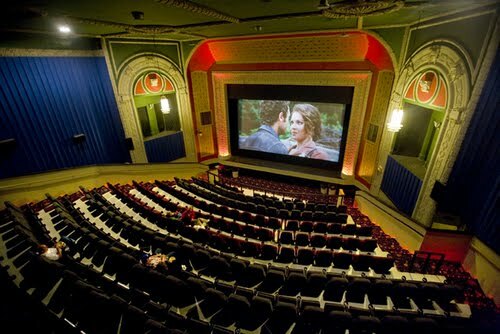 The movie industry has decided to completely switch from traditional 35-millimeter film prints to digital files in the next year, causing problems for small, locally owned and often historic theaters that can't afford to buy new digital projectors. The switch is estimated to cost theaters $65,000 to $100,000 per projector. Theaters say they only make money on concessions, and often small theaters that draw small crowds make very small profits and can't afford to make the digital upgrades. Kevin Bonham of the Grand Forks Herald in North Dakota rounds up what theater owners in the Red River Valley think about the studios' mandate, with some saying they are going through a "soul-searching process." In Crookston, S.D., Bob Moore, owner of Moore Family Theaters, which owns the local Grand (Herald photo) and cinemas in three other towns, said he's unsure about the future. He's already made other improvements to screens and sound systems, but making the digital conversion seems like too much to bear. City officials and community groups in Grafton and Park River are thinking about fund-raisers and government grants to save the communities' theaters. Chris and Tammy Ball, owners of the Towne Cinema in West Liberty, Ky., are attempting a fundraiser to replace the 35mm projector with a digital one because they have a "desire to keep the long-running theater open," reports the Licking Valley Courier of West Liberty. If they don't raise almost $85,000, the theater may have to close. The Balls wrote a letter to the community via the newspaper asking for help. "Instead of throwing our resources into fighting a losing battle (an online petition has started to keep 35mm film), we are putting out efforts into upgrading our little ol' theater into the digital age," they said. They say other local businesses will suffer because people will have to drive a half hour or more to other towns see a movie if the theater closes. The White House has decided to take Twitter questions about rural and Native American issues Thursday and Friday during events playing off of tonight's State of the Union address. Those issues had been left off the list for those days, as the Daily Yonder's Bill Bishop pointed out yesterday afternoon. Shortly after his write-up about the snub, he wrote another reporting that Doug McKalip, a senior policy adviser for rural issues, sent him an email saying the issues had been on the schedule all along. "There have been many messages distributed by the executive branch today regarding the office hours and, unfortunately, not all of them have the 'complete listings'," he told Bishop. In any event, Bishop says McKalip will answer questions about rural issues at 10 a.m. Friday, and Kimberly Teehee, senior policy adviser for Native American affairs, will discuss Indian issues at 3 p.m. Thursday. A full schedule of topics can be found here, with explanations of how to participate. UPDATE, Jan. 27: For the Yonder's report on Friday's exchanges, click here. The Environmental Protection Agency's new rules limiting power-plant air pollution will affect human and animal health, according to researchers at the Biodiversity Research Institute. The limits will likely have a positive impact on a "broad array" of wildlife affected by mercury, reports Anthony DePalma of The New York Times. Researchers found that methyl mercury, the heavy metal's most toxic form, is widespread in forests, mountaintops, bogs and marshes in Northeastern states where species were thought to be at low risk for mercury contamination. The region was once drenched with acid rain from coal-fired plants in the Midwest. New official estimates "severely cut" the amount of natural gas believed to be in the Marcellus Shale under several Appalachian states, but the gas boom will continue, reports Erich Schwartzel of the Pittsburgh Post-Gazette. The U.S. Department of Energy estimated 410 trillion cubic feet of gas last year, but now is guessing 141 trillion cubic feet. Researchers were able to reach the estimate because of drilling doubled in 2011, providing much more data. Methamphetamine makers have been mixing the volatile chemical ingredients in two-liter bottles, also known as the "shake-and-bake" approach, for several years. The slightest mistake in brewing, though, can cause an explosion, burning flesh or causing blindness or death. The number getting burned has increased sharply, flooding hospital burn units with victims. Most are uninsured, and because treating one patient for a day can cost thousands of dollars, and some wards are struggling to stay open, reports Jim Salter of The Associated Press. The shake-and-bake approach is popular mostly because it's cheaper, but also because it's portable, easy to conceal and can yield meth in minutes rather than hours. Larger, non-portable meth labs also explode, but people can escape those fires. Shake-and-bake labs are harder to avoid because makers hold the bottle close to the body, causing burns on the face down to the waist if they explode. "You're holding a flame-thrower in your hands," said Jason Grellner of the Franklin County, Missouri, sheriff's department. 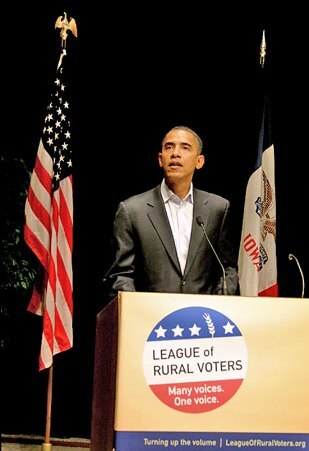 When President Obama, trying to channel Teddy Roosevelt, went to Osawatomie, Kan., in December and gave a speech about the middle class, "Some of the rural residents and surrounding farmers found it odd that he didn’t mention farming or U.S agriculture, one of the brightest spots in the economy, or the importance of helping small towns through rural development. 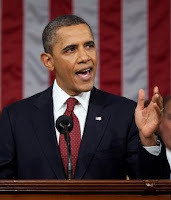 Expect that to change in his State of the Union speech Tuesday night," writes Sara Wyant of the Washington newsletter Agri-Pulse. Wyant notes that Obama "had a very organized rural campaign strategy" in 2008, says "The Obama campaign will need every vote it can find in rural swing states" this year, and notes that almost 30 rural organizations sent him a letter asking him to include rural development in the speech. "As you prepare for your upcoming State of the Union address, we ask you to remember the roughly 50 million Americans who live in rural areas," the letter said, suggesting ways the organizations think rural issues could be addressed, including reauthorizing the Farm Bill in a way that "revitalizes the rural communities that form the backbone of our heartland," and developing a "strong and robust" Rural Development section of the bill that would, among other things, extend broadband services and provide entrepreneurs with needed credit. Butler was appointed to GIPSA by President Obama in his administration's early days. "He was a Southerner and a lawyer who had earned the trust of livestock raisers — and the enmity of the meat companies — by representing farmers in lawsuits aimed at companies such as Tyson Foods," Bishop writes. Butler promised ranchers and farmers he would "get out in the countryside" to better understand the "imbalance of power" they faced. At the Organization for Competitive Markets meeting, he said he would take testimony from hog, poultry and cattle raisers and "protect them if meat buyers objected." He proposed regulations in 2010 that would have given farmers and ranchers more power when dealing with large meat-processing companies. The reforms would have made it easier to sue meat packers and provided poultry raisers more protections and transparency in dealings with meatpackers. The administration collected more than 60,000 comments during an extended 18-month comment period that allowed opposition against the regulations to grow. Last November, Congress prevented USDA from funding the proposed rules, and USDA only adopted a small portion of the regulations. Attorneys general from Florida and Kentucky say the prescription pill pipeline between the two states is beginning to close, reports Bill Estep of the Lexington Herald-Leader. They credit new programs and rules in Florida, but Kentucky AG Jack Conway says more work is needed "to attack the epidemic of prescription drug abuse in Kentucky." 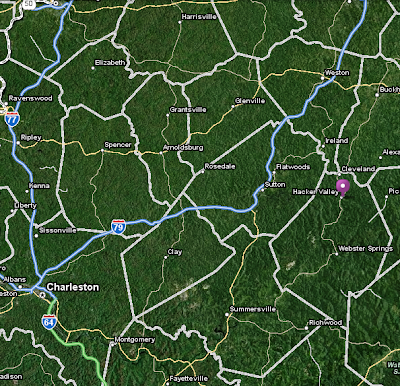 The pipeline has also supplied Ohio, West Virginia, Virginia and Tennessee. Florida became the epicenter of the prescription drug trade to the Appalachian states because of lax regulation of pain clinics and tracking prescription drugs, Estep reports. People from the region traveled to Florida, stocked up on drugs, then returned home to sell them. 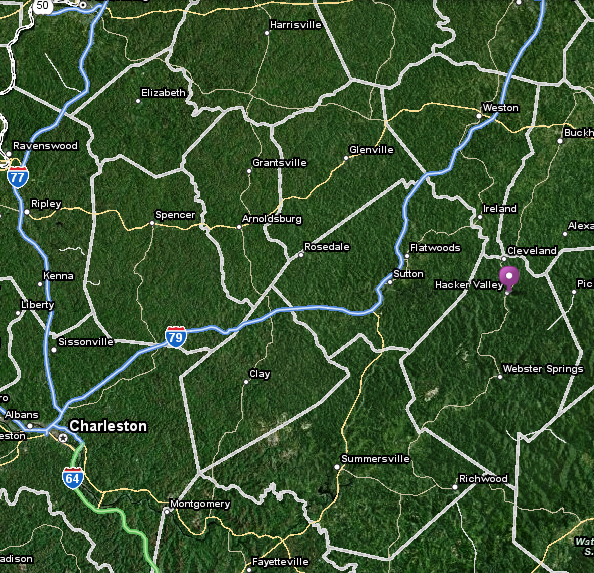 In 2010, a police raid uncovered 1,400 files in a Florida doctor's office, and most were on Eastern Kentuckians. Police estimated that 60 percent of pills illegally sold in Kentucky were prescribed in Florida. 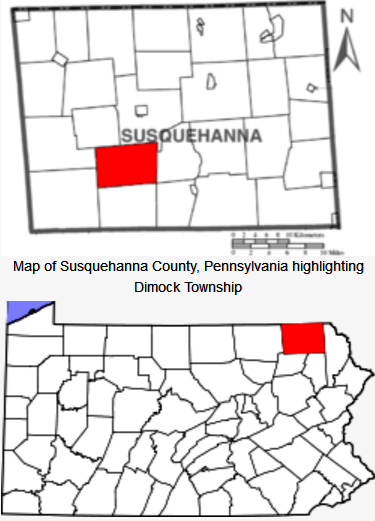 The Environmental Protection Agency announced last week it will bring tanks of drinking water to four homes in Dimock, Pa., that have likely been contaminated by hydraulic fracturing in natural-gas drilling. People in the township have complained of water troubles since April 2009, when some wells were blown up and tap water caught fire, reports Abraham Lustgarten of ProPublica. Lawsuits were filed and state investigations conducted, but the water problem was never resolved. Proposed legislation could relieve the unhappiness of motorists, police and judges with a segment of Kentucky's Amish population, which refuses to place reflective orange triangles on their buggies as state law mandates for slow-moving vehicles. 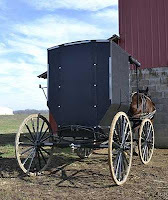 Sen. Ken Winters, R-Murray, thinks he has a solution in Senate Bill 75, which would "increase visibility of buggies and not offend the Amish religious beliefs," reports Tom Berry of the Murray Ledger & Times. UPDATE, Jan. 24: A similar bill received a good reception in a House committee, reports Jack Brammer of the Lexington Herald-Leader. Men of an Amish sect in Graves, Warren and other counties have been cited for refusing to post orange safety triangles on their buggies and chosen to serve jail time rather than pay fines. In Graves County, nine men appealed 2008 misdemeanor convictions last June, but the state Court of Appeals said "religious practices can't supersede the rights and safety of the public at large." 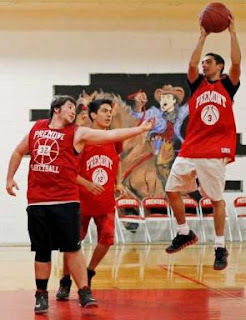 The men have appealed to the Kentucky Supreme Court.